Carte de visite. 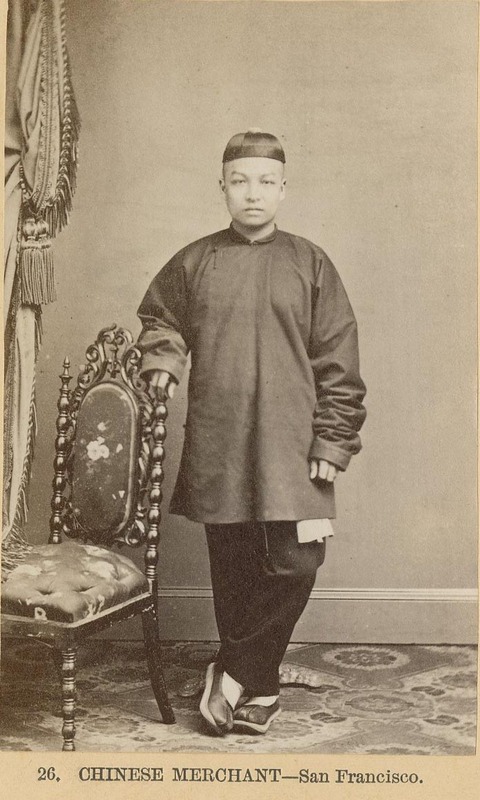 Chinese-Americans Collection 4-8, C.3.34, Photographs-Cartes de Visite, Misc. subjects A-Cl, Photographs Collection, William L. Clements Library, University of Michigan. Creator/Contributor: Thomas Houseworth & Co. This was marked as no. 26 in the “Oriental Costumes” series.